I see that Comic Relief are again cashing-in on the success of the BBC's Great British Bake Off and have commissioned a special celebrity edition, transmitting next week. 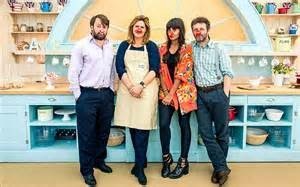 Haven't we had enough of this attempt to get us all baking, when in fact viewers are only interested in seeing contestant's failures? The collapsing Victoria Sponge or the melting Baked Alaska. There is no doubt you can expect the celebrity edition to deliver plenty of disasters to entertain all the non-bakers who will be tuned-in. Yesterday's Daily Telegraph was asking, 'who will win?' 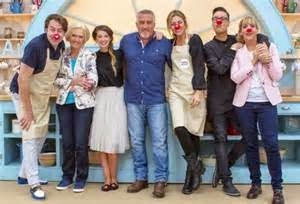 But shouldn't we be asking who will be the most entertaining in delivering a series of complete unappetising, lopsided, under-baked and badly decorated tartlets? 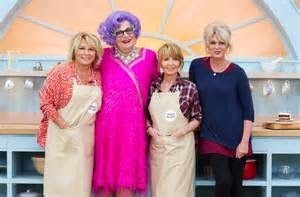 Or which female contestant will catch Paul Hollywood's eye and be on course for the bake-off final? 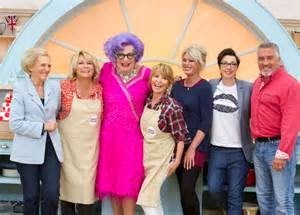 John Waite, winner of the Bake Off in 2012, assessed the line-up in yesterday's Telegraph, but we viewers will have our own ideas too. See if you agree with John or The Real Food Inspector. 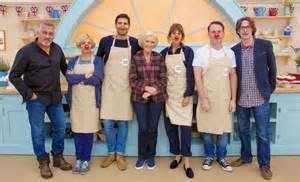 What is clear is that the Great Comic Relief Bake Off is stuffed with celebrities, but what are their chance of winning? She may be absolutely fabulous on telly and in her own sketch shows, but will she be up to the job? Apparently she doesn't 'particularly like cake', which isn't the best of starts. She is a fan of the show, so perhaps she has secretly been taking notes. Although Joanna has probably never even looked at a slice of cake in order to maintain that slender fame, I bet she could talk herself out of any baking disaster. And even if the going gets tough she could always charm Paul Hollywood - he'll have eyes for her. She may only be a pint-sized lassie from Glasgow, but Lulu packs a punch. Although most grandmothers tend to be baking whizzes, I tend to think she is better sticking to singing in the kitchen. This gaudy Aussie may seem more interested in fuchsia frocks and heavy make-up, but in fact she claims to to be a 'superb baker'. She'll certainly have the strength to hand-knead loaf after loaf, but will she have the balls to face the judges' critiques? She may spend her days trotting down the catwalks and winning dancing competitions, but will Abbey be able to navigate the kitchen? Paul's eyes may already be twinkling, so watch her make it to the final if only for her moves around the tent. He's the expert at making people look good naked, but will his eye for detail and embellishments let him down? Let's face it, we do eat with or eyes first. Do not underestimate Gok, he has produced two well received cookbooks. Something tells me mischief is afoot with this one. He'll probably be too busy wreaking havoc in the tent with Mel and Sue to get stuck into the baking. The innuendo levels will go through the canvas, though Mary will try to whip him into shape. This blue eyed 'vlogger' (video blogger) is a huge fan of Bake-Off. Her zesty, youthful outlook may stand her in good stead when it comes to thinking outside the baking box. Another young women for Paul to 'oggle'. 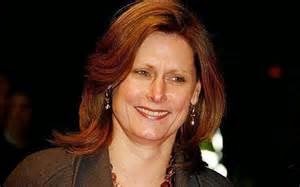 The wife of the former prime minister says that her sons adore the show and have been her greatest fans. This mother of two is an extremely successful and hard working businesswomen but has she found time to polish up her baking skills? 28 year old Jameela says she has never cooked. The presenter of the Official Chart Show may be able to speed through the top 40 on a Saturday but ask her to count out those cup cakes and she'll probably struggle. According to comedian David , his most professional piece of kitchen equipment is a pizza cutter. Enough said! 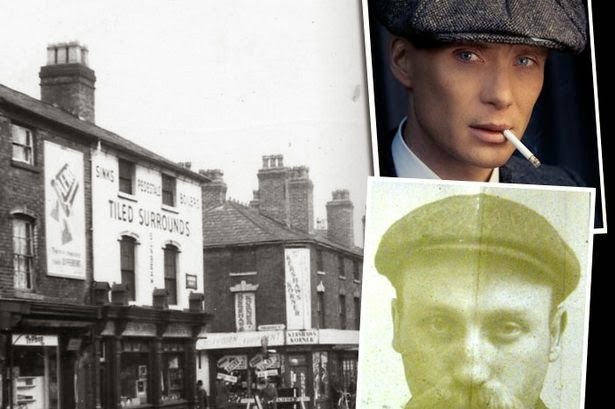 The Welsh actor recently joined Jamie Oliver on Channel 4's Friday Night Feasts and he admitted that before he met his ex wife Kate, he'd never seen an avocado. Lets hope he took detailed notes from Jamie. The biggest challenge for style icon and model Alexa will be donning the beige apron, though her eye for detail and her creative approach could make her a strong contender. The comedienne may have an unfair advantage - her 16 episodes of Dinnerladies may have prepared her for the pressures of the kitchen. She claims to be 'very average' but she has always been modest. 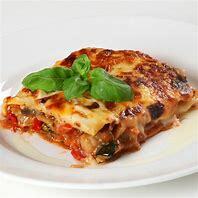 The former breakfast show presenter was busy entertaining us over our morning feast, so lets hope his recent hiatus has given him time to read cookbooks. The Fonejacker star will provide some eye candy but will his baking be sweet enough to please the judges? He was on Sunday Brunch in 2012 but forced the hosts into panic when he used the F-word. He'd better watch his language as Mary won't tolerate it. 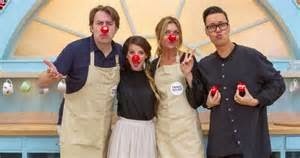 The Great Comic Relief Bake-Off Starts on BBC1 on Wednesday 11th February for 4 consecutive nights.